The Sixth Amendment guarantees the accused notice of the accusation, a court and witnesses for the defense. Something we take for granted today. But in writing the Sixth Amendment the drafters of the Bill of Rights were drawing on their knowledge of history and politics from ancient times, through the development of English common law, and its application in the British colonies. In this book you will find what that history was, who the actors in it were, and how our brilliant founders used that knowledge to underpin their work. This lively account is written for the interested citizen, as well as the civics student. Along the way there are surprising, and interesting, diversions into how the events and personalities surrounding the Sixth Amendment have appeared in literature, film, sports and popular culture. 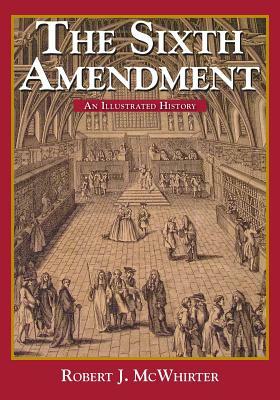 This book was originally published as chapter six of Bills, Quills, and Stills: An Annotated, Illustrated, and Illuminated History of the Bill of Rights.